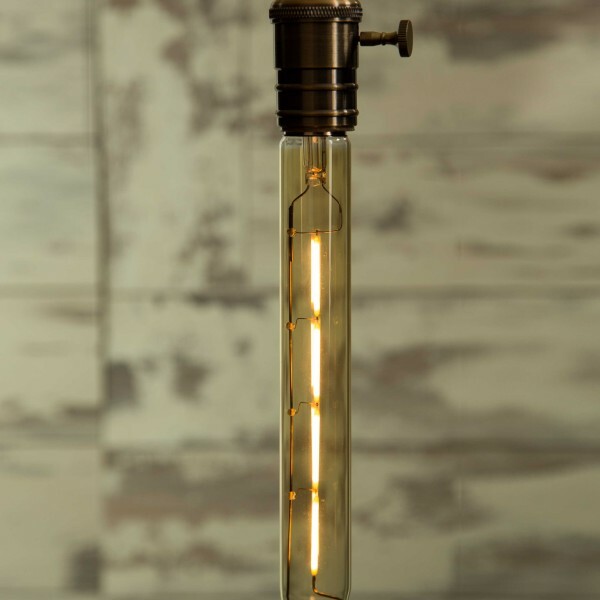 The Tube LED Bulb is a perfect combination of the old industrial vintage look of the filament tube incorporated into the modern technology of Long Life Lasting and Super Energy Saving Lighting. 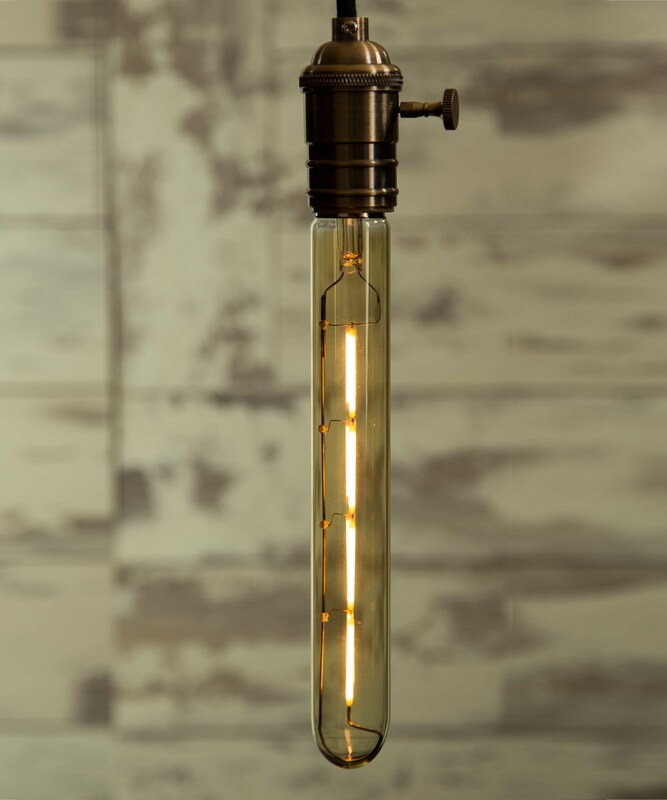 With the Amber glass and a colour temperature of 2200K our LED’s have been produced to create a warm and cosy atmosphere. 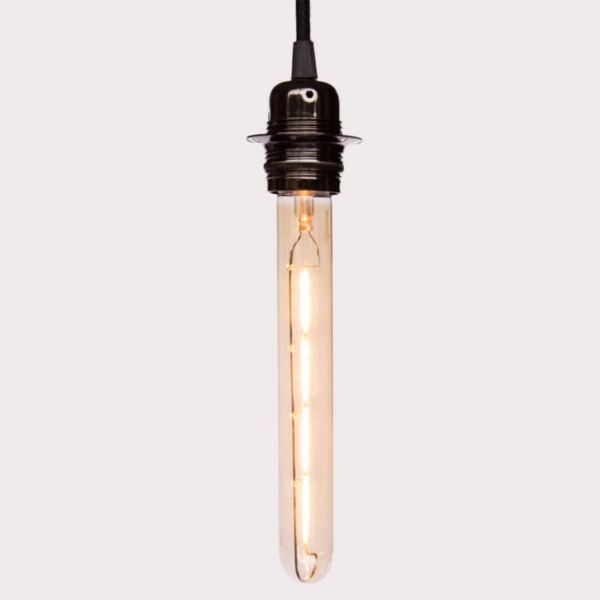 While using as little as 3W, the 22cm Tube bulb can, with its four LED filaments give out the light equivalent to approximately a traditional 25W bulb.